One foundational Christian concept is that God creates. Everything in our universe is his workmanship. God also creates history. He directs the ebb and flow of events, as well as the waxing and waning of nations. Like any masterpiece, history contains themes which undergo manipulation and dissonance only to be recapitulated as creation draws to a close. Because our Creator is so intricate and grand in his craftsmanship, history is decorated with several integrated themes, along with areas of complex development and discord, and a clear and final restatement at its end. 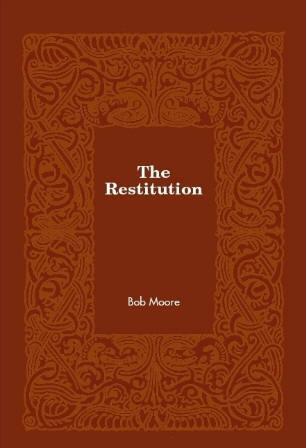 The Restitution examines the major themes that God placed in history as recorded in the Bible and traces them from their first introduction in ancient times, their development in more recent millennia and their concluding restatement in the latter-day glory that is already unfolding. Jesus did not just appear in the meridian of time to perform his redemptive work, but he has labored in every age, reconciling the world and lifting it above its carnal condition. The divine work before his incarnation primarily prefigured and prepared the world for his first advent. His work since his ascension concentrated on foretelling and fitting the world for his second coming. We live at a time close to the Savior's second coming. It is a time when God is recapitulating the various themes introduced throughout time and bringing them to their climactic culmination. Reviewing them as this book does enlarges appreciation of God's creative genius and increases faith in our Savior's ability to satisfactorily finish his work.